Rose Powers married James Pratt. 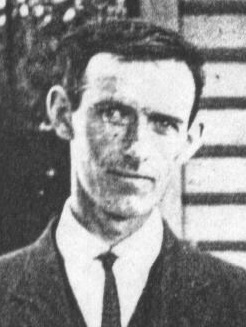 James Pratt married Rose Powers. Susan Ceratt married Paul Daniluk. [S524] Unknown author, U.S. Public Records Index, Url: Ancestry.com (n.p. : n.pub., unknown publish date), Joseph E Ceratt; Birth Date: 0 1928 ; Street address: 6255 South MacDonald Rd 1 ; City: Jordan ; County: Onondaga ; State: New York ; Zip Code: 13080 ; Phone Number: 315-689-3190. [S62] Ancestry.com, Social Security Death Index (n.p. : Online publication - Provo, UT, USA: Ancestry.com Operations Inc, 2011.Original data - Social Security Administration. Social Security Death Index, Master File. Social Security Administration.Original data: Social Security Administration. Social Security D, unknown publish date), Joseph E. Ceratt; SSN: 059-22-0733 ; Last Residence: 13080 Jordan, Onondaga, New York, United States of America ; Born: 9 Dec 1928 ; Died: 9 Jan 2005. Paul Daniluk married Susan Ceratt, daughter of Joseph E. Ceratt and Mary Ellen Harmon. Golda Simmons married Cleveland Pyles. Cleveland Pyles married Golda Simmons. (?) Bloise married Margaret J. Harmon, daughter of James Francis Harmon and Thelma Pyles. 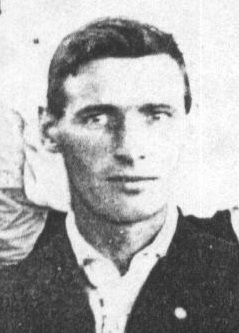 Joseph Lawrence O'Connor was a farmer. He was born on 29 July 1886 at Montezuma, Cayuga, New York, USA.4 He was born on 29 July 1887 at Montezuma, Cayuga, New York, USA.1,2,3,5 He lived in 1892 at Montezuma, Cayuga, New York, USA; Age: 5.3 He lived in 1900 at Montezuma, Cayuga, New York, USA.1 He lived in 1910 at Montezuma, Cayuga, New York, USA; Age in 1910: 22Age in 1910: 22; Marital Status: Single; Relation to Head of House: Self; Relation to Head of House: Head.2 He married Anna Cecelia Quinn, daughter of Thomas Quinn and Catherine Curtin, on 1 June 1910 at St. Patrick's Church, Moravia, Cayuga, New York, USA. Joseph Lawrence O'Connor lived in 1935 at Brutus, Cayuga, New York, USA.5 He lived on 1 April 1940 at Brutus, Cayuga, New York, USA; Age: 53Marital Status: Married; Relation to Head of House: Head.5 He died on 12 May 1966 at Weedsport, Cayuga, New York, USA, at age 78. He was buried at St. Joseph's Cemetery, Weedsport, Cayuga, New York, USA. [S26] 1900 United States Federal Census, online , Year: 1900; Census Place: Montezuma, Cayuga, New York; Roll: T623_1013; Page: 2A; Enumeration District: 34; FHL microfilm: 1241013. Kathryn Helen O'Connor was a Registered Nurse. She lived at Solvey and Sempronius New York. She married Andrew Emeterio. Kathryn Helen O'Connor was born on 26 May 1911 at Montezuma, Cayuga, New York, USA.2,3 She died on 10 October 1991 at Sempronius, Cayuga, New York, USA, at age 80.4 She was buried in at St Patrick's Cemetery, Moravia, Cayuga, New York, USA. Notes: May 1951: Name listed as KATHRYN HELEN OCONNOR; : Name listed as KATHRYN OCONNOR EMETERIO; 22 Oct 1991: Name listed as KATHRYN EMETERIO. Thomas Paul O'Connor lived at Fairport and Utica, New York, USA. He was employed by New York Central Railroad in Signal Dept. He was born on 23 March 1913 at Cayuga, Cayuga, New York, USA.2,1 He lived in 1935 at Brutus, Cayuga, New York, USA.1 He lived on 1 April 1940 at Brutus, Cayuga, New York, USA; Age: 27Marital Status: Single; Relation to Head of House: Son.1 He married Margaurite Maloney in December 1945 at Franklinville, Cattaraugus, New York, USA. Thomas Paul O'Connor died on 20 March 1984 at Auburn, Cayuga, New York, USA, at age 70.3 He was buried in at St. Joseph's, Weedsport, Cayuga, New York, USA. Anna Cecelia Quinn was a teacher. Her married name was O'Connor. She was born in July 1886 at Sempronius, Cayuga, New York, USA.1 She married Joseph Lawrence O'Connor, son of Thomas O'Connor and Ellen O'Hearn, on 1 June 1910 at St. Patrick's Church, Moravia, Cayuga, New York, USA. Anna Cecelia Quinn lived in 1935 at Brutus, Cayuga, New York, USA.1 She lived on 1 April 1940 at Brutus, Cayuga, New York, USA; Age: 53Marital Status: Married; Relation to Head of House: Wife.1 She died on 19 March 1957 at Weedsport, Cayuga, New York, USA, at age 70.2 She was buried at St. Joseph's Cemetery, Weedsport, Cayuga, New York, USA. James Donald O'Connor was born on 9 August 1923 at Weedsport, Cayuga, New York, USA.2,1 He lived in 1935 at Brutus, Cayuga, New York, USA.1 He lived on 1 April 1940 at Brutus, Cayuga, New York, USA; Age: 16Marital Status: Single; Relation to Head of House: Son.1 He married Barbara J. Clarke, daughter of George R Clarke and Florence M. Olmstead, on 28 December 1950 at Weedsport, Cayuga, New York, USA.2 James Donald O'Connor died on 14 February 1977 at Auburn, Cayuga, New York, USA, at age 53.2 He was buried in at St. Joseph's Cemetery, Weedsport, Cayuga, New York, USA. Marianna (Mary) O'Connor married William Edmund Nelson, son of Edmund Patrick Nelson and Mabel Morrison, on 22 November 1958 at Weedsport, Cayuga, New York, USA. Elizabeth O'Connor married Gordon Van Alstine in 1987. Charles A. O'Connor was born on 8 July 1889 at Montezuma, Cayuga, New York, USA.5,1,2,3,4,6 He lived in 1900 at Montezuma, Cayuga, New York, USA.1 He lived in 1920 at Montezuma, Cayuga, New York, USA; Age: 30Marital Status: Single; Relation to Head of House: Head.2 He married Mary Elizabeth McNamara, daughter of Hugh P. McNamara and Bridget A. Clancy, in 1925.7 Charles A. O'Connor lived on 1 June 1925 at Montezuma, Cayuga, New York, USA; Age: 35Relationship: Son.4 He lived in 1930 at Montezuma, Cayuga, New York, USA; Age in 1930: 40Marital Status: Married; Relation to Head of House: Head.3 He died on 10 November 1935 at Montezuma, Cayuga, New York, USA, at age 46. He was buried at St. Joseph's Church, Fleming, Cayuga, New York, USA. [S61] 1930 United States Federal Census, online , Year: 1930; Census Place: Montezma, Cayuga, New York; Roll 1411; Page: 3B; Enumeration District: 43; Image: 883.0. [S69] 1940 United States Federal Census, online , Year: 1940; Census Place: Auburn, Cayuga, New York; Roll: T627_2507; Page: 6A; Enumeration District: 6-29. Mary Elizabeth McNamara was (an unknown value) at Nurse. She was Type: Cemetery at St. Joe's Sec 30 Lot 62S 2NE. She was Type: Cause of Death. Her married name was O'Connor. She was born on 9 October 1890 at Auburn, Cayuga, New York, USA.1,2,3 She lived in 1900 at Auburn Ward 9, Cayuga, New York, USA; Age: 9Marital Status: Single; Relation to Head of House: Daughter.1 She married Charles A. O'Connor, son of Thomas O'Connor and Ellen O'Hearn, in 1925.4 Mary Elizabeth McNamara lived on 1 June 1925 at Montezuma, Cayuga, New York, USA; Age: 29Relationship: Daughter-in-law.3 She lived in 1930 at Montezuma, Cayuga, New York, USA; Age in 1930: 34Marital Status: Married; Relation to Head of House: Wife.2 She died on 28 January 1936 at Auburn, Cayuga, New York, USA, at age 45. [S26] 1900 United States Federal Census, online , Year: 1900; Census Place: Auburn Ward 9, Cayuga, New York; Roll: 1012; Page: 3B; Enumeration District: 0019; FHL microfilm: 1241012.